The 2014 vintage was almost catastrophic for the Château d' Armailhac, due to a rather dismayed year and a dry, cool and not very sunny August. Thanks to the unexpected arrival of a long-lasting Indian summer, the grapes were harvested in perfect conditions, harvesting the bunches once they reached their optimum ripeness. Speaking of clusters, Château d' Armailhac 2014 is made up of a blend of 50% Cabernet Sauvignon, 36% Merlot, 12% Cabernet Franc and 2% Petit Verdot. The 2014 vintage of Château d' Armailhac, dressed in a beautiful dark violet colour with purple reflections, presents a refined and complex nose with a bouquet of wild blackberry liqueur, cherries, delicately enhanced by notes of liquorice and spices. 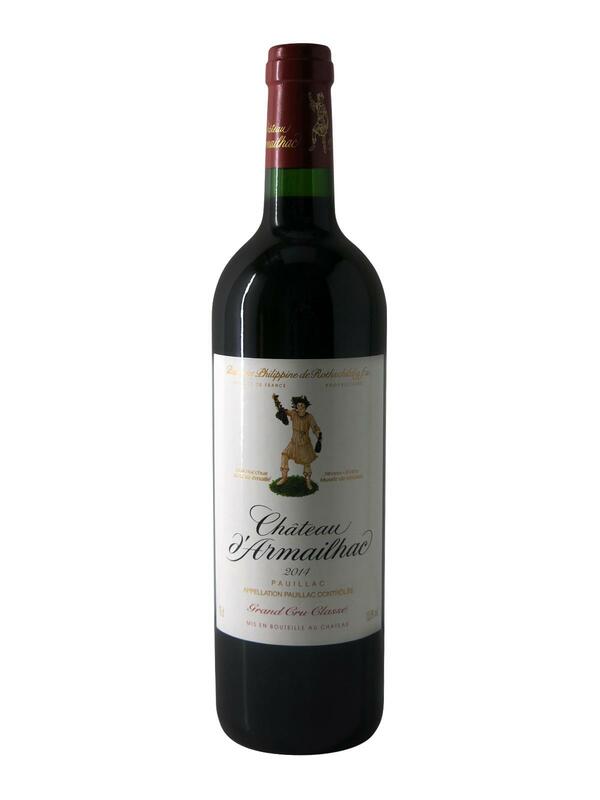 On the palate, the Château d' Armailhac 2014 presents a beautiful balance, with structured, rich and unctuous tannins, blending perfectly with the subtle aromas of candied fruit. The finish gives the wine a nice fruity length.